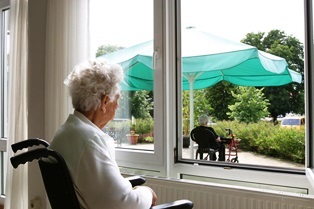 Is insufficient staffing a type of nursing home negligence? Possibly. Families expect nursing homes to provide high-quality care for their elderly or challenged loved ones. One of the best ways for companies to do this is to staff their facilities with plenty of well-trained nurses and attendants. However, adequately staffing nursing homes can be expensive for owners and directors, who often opt to under-staff facilities to save money. Sadly, when nursing homes put profit ahead of patient care, the results can be devastating for both staff and residents. In understaffed facilities, overworked, underpaid, and overwhelmed nursing staff members and other caregivers have less time to meet their patients' needs, are more likely to provide substandard care, and may even resort to abuse. Insufficient staffing may lead to neglect of patients' most basic needs: food and water, medication, bathing, and grooming. Patients with mobility issues may also suffer bedsores, muscle atrophy, and severe infections due to nursing home abuse and neglect. Was someone you love injured due to insufficient staffing at a nursing home in Georgia? State laws specify minimum staffing requirements for nursing home facilities in the Peach State. When a nursing home fails to meet these regulations and patients are injured as a result, the facility may be liable for damages, such as medical expenses, pain and suffering, and other losses. The laws determining appropriate staffing for nursing homes can be complicated. If your loved one was hurt due to inadequate staffing at their care facility, the knowledgeable attorneys with Van Sant Law can help you understand the laws that apply to your case, as well as your rights and options for compensation. Are you considering taking legal action against a Georgia nursing home? We can help you connect the dots between insufficient staffing and your loved one's injuries, and fight for your family's right to fair compensation. Contact us today to request a complimentary initial consultation.